The elegance of this pattern matches its functionality through its wavy and serpentine form wrapping through its obstructions. Water shows this pattern so well in healthy ecosystems and is a great release from the stringent linear thinking of land and water managers with their straight lines through a common imposition process called channeling. Healthy aquatic ecosystems employ this pattern for cleansing, renewal and for a diversity of habitats. Through the sinuous shape another pattern is born in flowing waterways known as run, riffle, and pool. 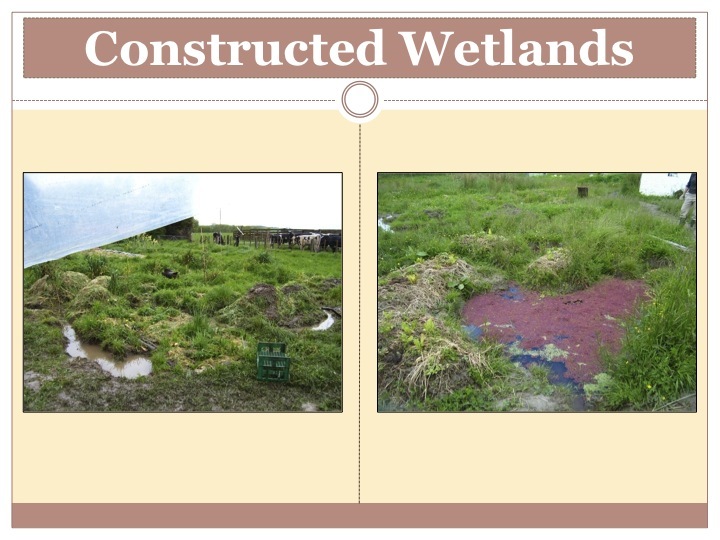 Both of these amazing pictures below show stages of it and form the necessary ecosystems functions to provide biodiversity. Even if this is merely insect larvae and freshwater snails, its a beginning, but often the larger forms that we identify such as fish are abundant. The above right picture shows the sinuous shape classically as it cascades through the mountains of New Zealand in a National Park. It bends and winds and you can see different speeds of water in this sense through the textures. It is moving through this run, riffle, poll sequence even though it may not be totally visible. Runs can be observed in nature in streams where the water is moving fast and only slightly breaking the surface and of a medium depth. Pools often occur in the bends in the river and are deeper and slow moving while riffles are the whitewater. This is a turbulent flow of shallow water that is fast in movement and the fun of rafters. Each one of them has their functions and are all important factors of diversity, however over time we have taken out the sinuous shape in nature and gone to more rectilinear shapes even with streams that desire to bend and twist. Thus on the top left in a state park in the state of Ohio, USA, an intact stream can be seen with clear waters and a large pool providing habitat for fish and turtles and the like as the pool habitat was preserved through the lack of channeling and preserving the watershed through native forest protection. It is clearly seen in this picture that the pool habitat has helped to deposit sand on the inside of the curve which is a cleaning mechanism for the stream and the creatures that rely on top water quality for proliferation. On the outer edge, a pool of refuge is there with cooler waters and a hiding place especially in times of turbulent storms when the pools create a safe spot so that not everything is completely flushed out of the system. 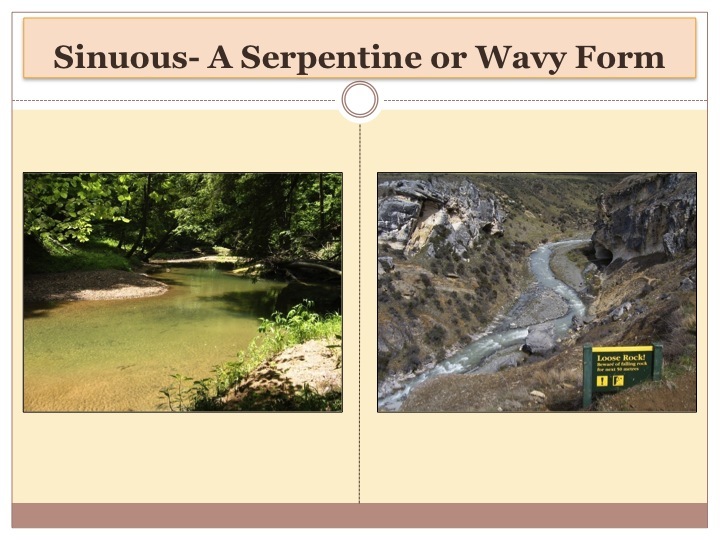 To help encourage pools in damaged stream ways there are techniques to help reinvigorate the sinuous shape and include techniques around restoring natural hydrology. In the picture above left, this stream has been damaged in extreme ways through the old process of extracting timber from highlands. 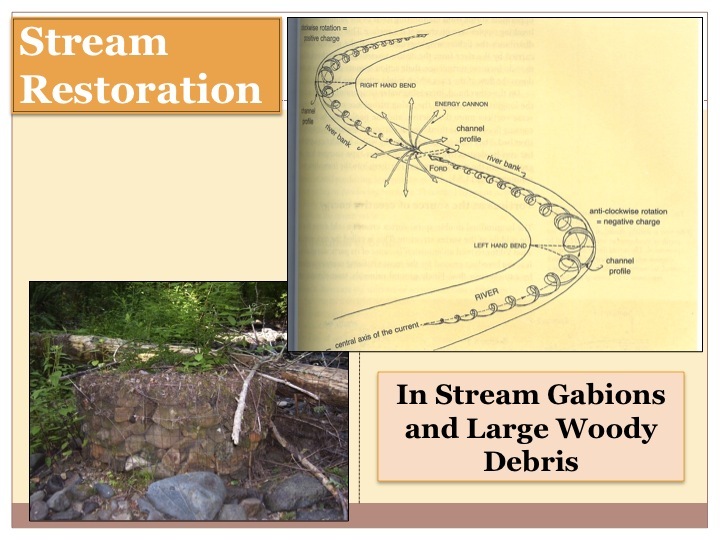 This process was to dam streams and cut old growth logs of great diameter and pile them in the dams’ backed up waters. Once the pool was full of water and logs, sticks of dynamite where placed in the dam wall and the detonate button pressed. The logs would then come screaming down the stream bed in a mud and water torrent and take out large woody debris and big boulders which help to perpetuate the pools in the stream. This took out the streams aid in meandering and pool formation. Floods were then more common and man made and stream induced channeling was initiated and accelerated because these natural checks and balances were removed for short-sighted practices. So our work in a PDC at Lost Valley Education Center outside of Eugene, Oregon, USA involved recreating a boulder and an island of vegetation to help push the water either way when big flows happen in the winter rains. During the summer, the stream runs nearly dry because of a lack of holistic watershed management and is unsuitable for trout and salmon because of high temperatures, low water quality, and lack of oxygen and habitat. Part of this is because when streams are channeled then sand is not deposited in the inside corners of a meander but rather in the runs where salmon like to lay eggs. This suffocates the eggs and then the fish continue to decline further and further in numbers because of multiple environmental factors. However we helped to make the streams sinuous nature come back by creating an in-stream gabion boulder by filling a wire basket with smallish rocks. Halfway up the wire basket, we created a planting hole by laying compost in the middle and planting riparian trees before adding more rocks to fill the basket. This was then capped by the rest of the metal structure and the heavy rains were waited upon. When they did come, they knocked down a dead tree on the bank as the water was pushed in one direction because of this boulder and the stream wanting to meander. Nature played along and sent this piece of large woody debris down and had survived a full winter and can be seen in this picture above. Both help to perpetuate the pool habitat we are after so it was a great sign to see through protracted observation. A way in which I applied this sinuous shape and the idea of run, riffle and pool was at a project I was working for in New Zealand back in 2007, a study abroad high school for American youngsters. We had our coldest, wettest spring on record and the campus grounds featured a market garden that was completely flooded. The school was in the outskirts of Palmerston North which in the overall geography is a bowl surrounded by mountains and has very heavy clay soils. This means the soils get waterlogged and the water table is so high that it even sits above soil level for days. What normal farmers would do is send the water away as fast as possible as this problem to them has no solution and the rectilinear form does the job best they feel. With that, the high school students and I on our free time managed to dig a channel system to drain the water away from the inundated beds in a sinuous form with varying depths that then featured lots of edge. We started small scale intensive style with small channels and by digging these depressions we used this displaced earth to make quite raised beds. As we fanned out in a dendritic way, we made narrower ones here and there and then bigger channels and pools. The narrow parts allowed for access while the bigger pools allowed for water storage. 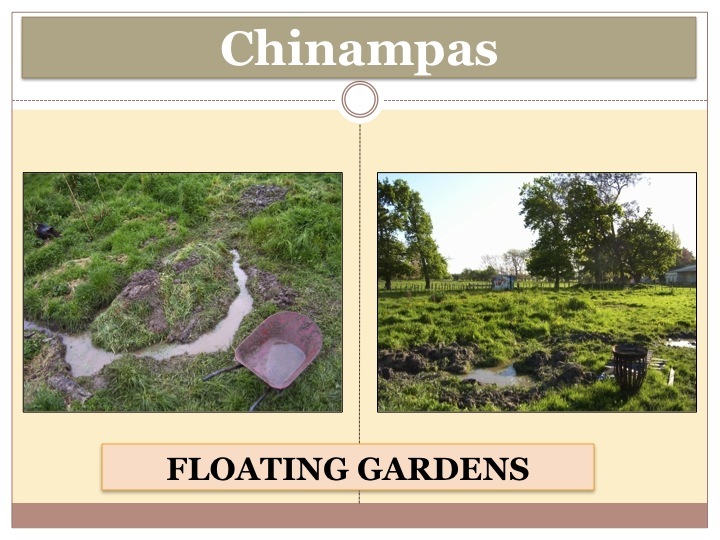 As we moved away from the market garden beds and towards our zone 3, we made the pools even bigger and were able to grow a significant aquaculture biomass crop of azolla and duckweed. These prolific growers were then scooped up and became green mulch for the adjacent beds thus helping with the poor fertility and structure of the soil. We harvested vegetables from these beds and also helped to get the water away from the front part of the farm but our newly created beds were the first to produce. It was a fun experiment, no design drawn on paper, only the pattern of a sinuous chinampa (actually wetlands restoration work in Panama 2006) that I had stayed at in my travels and work in Latin America that had inspired me. I then led the students to imagine and dream and get out there and create with the patterns of nature. I have also seen this pattern applied in the mediterranean with sandy soils with the folks I have long worked with in Portugal at Terra Alta. Designer and project co-leader Pedro Valdiju created a sinuous form with pools and narrow channels much like the system I described just above but with machines to deal with a very heavy flow of water in the intense winter rains. The water is dramatically increased in volume because of the surrounding roads funneling water into this property but this conventional problem was turned into a solution with what is now (2015) called the Serpent Garden. Its a series of larger pools that act as rain gardens and channels to circulate the water through the site and complete the hydrological cycle. The earthworks in that section of the land are part of our overall food forest and organic farming mission that were framed through these earthworks. We have had to pay special attention to edge over the years as it is a great feature in the winter but the dry summers have inspired us to plant intensively along the edges for drought hardy plants and fill the channels with mulch to actually decrease edge.